Over 300+ Job Oportunities for DevOps Developer across the Bombay & Pune. Join Us and be the next Java Developer. Over 500+ Job Oportunities for Java Developer across the Bombay & Pune. Join Us and be the next Java Developer. Over 400+ Job Oportunities for Spring Developer across the Bombay & Pune. Join Us and be the next Spring Developer. Over 300+ Job Oportunities for Big data Hadoop across the Bombay & Pune. Join Us and be the next Hadoop Developer. Over 200+ Job Oportunities for DevOps Software Testing Developer across the Bombay & Pune. Join Us and be the next Tester. Over 300+ Job Oportunities for Software Testing across the Bombay & Pune. Join Us and be the next Tester. Over 800+ Job Oportunities for Selenium Webdriver across the Bombay & Pune. Join Us and be the next Automation Tester. Over 1200+ Job Oportunities for Machine Learning across the Bombay & Pune. Join Us and be the next Data Scientist. Over 200+ Job Oportunities for Deep Learning across the Bombay & Pune. Join Us and be the next Data Scientist. Over 300+ Job Oportunities for Artificial Intelligence across the Bombay & Pune. Join Us and be the next Artificial Intelligence Developer. Over 700+ Job Openings for Python Developer Across the Bombay & Pune. 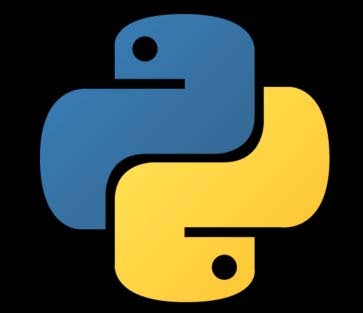 Join Us and be the next Python Developer. Over 3000+ Job Oportunities for Digital Marketing across the Bombay & Pune. Join Us and be the next Digital Marketing Expert. Over 1500+ Job Oportunities for Android Developer across the Bombay & Pune. Join Us and be the next Android Developer. Over 1200+ Job Oportunities for Full Stack Developer across the Bombay & Pune. Join Us and be the next Full Stack Developer. Over 2000+ Job Oportunities for UI Developer across the Bombay & Pune. Join Us and be the next UI Developer. Over 600+ Job Oportunities for Angular Developer across the Bombay & Pune. Join Us and be the next Angular Developer.